1. 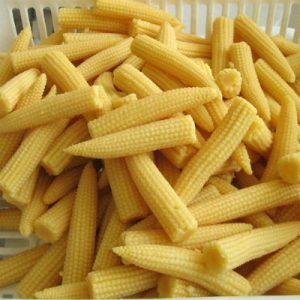 Blanch the spinach and baby corn separately in salted water. 2. Soak the black mushrooms overnight and steam with ginger. 3. Heat the oil in a pan and saute the garlic. 4. Add the vegetable stock along with soy sauce, salt to taste, baby corn and black mushrooms. 5. Stir in the cornflour dissolved in a little water to thicken and finish with Chinese wine and sesame oil. 6. Arrange the spinach neatly on a serving platter and pour the prepared gravy on top. Feel free to comment or share your thoughts on this Spinach, Black Mushrooms and Baby Corn Recipe from Awesome Cuisine.